This innovative study presents a new, integrated view of the Civil War and Reconstruction and the history of the western United States. Award-winning historians such as Steven Hahn, Martha Sandweiss, William Deverell, Virginia Scharff, and Stephen Kantrowitz offer original essays on lives, choices, and legacies in the American West, discussing the consequences for American Indian nations, the link between Reconstruction and suffrage movements, and cross-border interactions with Canada and Mexico. In the West, Civil War battlefields and Civil War politics engaged a wide range of ethnic and racial distinctions, raising questions that would arise only later in places farther east. Histories of Reconstruction in the South ignore the connections to previous occupation efforts and citizenship debates in the West. The stories contained in this volume complicate our understanding of the paths from slavery to freedom for white as well as non-white Americans. 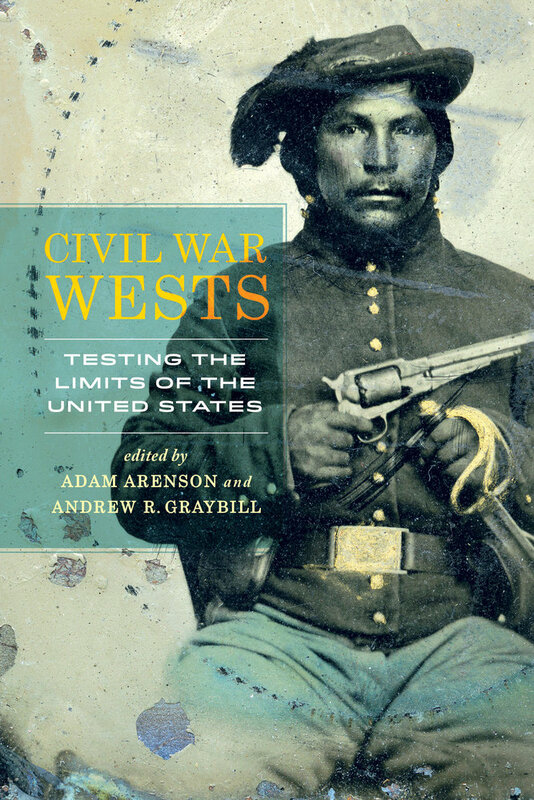 By placing the histories of the American West and the Civil War and Reconstruction period within one sustained conversation, this volume expands the limits of both by emphasizing how struggles over land, labor, sovereignty, and citizenship shaped the U.S. nation-state in this tumultuous era. This volume highlights significant moments and common concerns of this continuous conflict, as it stretched across the continent and throughout the nineteenth century. Publishing on the 150th anniversary of the end of the Civil War, this collection brings eminent historians into conversation, looking at the Civil War from several Western perspectives, and delivers a refreshingly disorienting view intended for scholars, general readers, and students. Adam Arenson is Associate Professor of History and Director of Urban Studies at Manhattan College, author of The Great Heart of the Republic: St. Louis and the Cultural Civil War (2011), and coeditor of Frontier Cities: Encounters at the Crossroads of Empire (2013). Andrew R. Graybill is Professor of History and Director of the William P. Clements Center for Southwest Studies at Southern Methodist University, author of Policing the Great Plains: Rangers, Mounties, and the North American Frontier, 1875–1910 (2007), and coeditor of Bridging National Borders in North America: Transnational and Comparative Histories (2010).